The police high command yesterday paraded 13 kidnappers, armed robbers and cattle rustlers who terrorise motorists along the Abuja-Kaduna-Minna highway. The police also paraded was chairman of the Butchers Association, Katari in Kaduna State and two trans-boarder car thieves who specialise in selling stolen vehicles to Niger Republic and Cameroon. 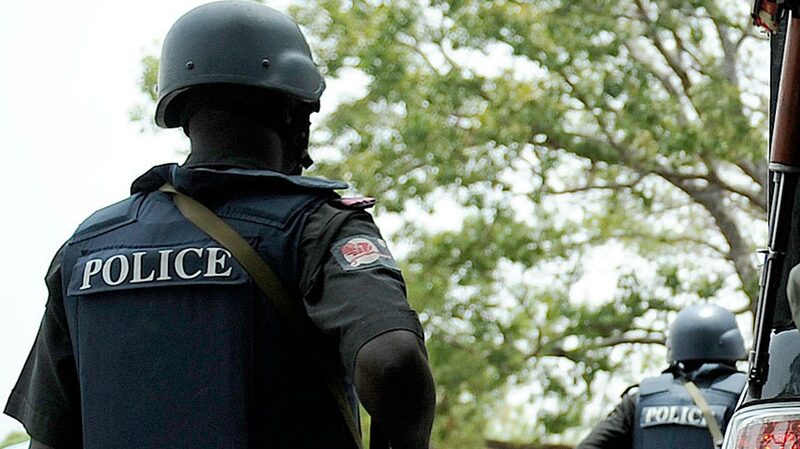 Parading the suspects before newsmen at the Ibrahim Coomassie Divisional police headquarters in Gawu Babangida, Niger State, Force Public Relations Officer, Moshood Jimoh, said the suspects were arrested by men of the Inspector General of Police Special Task Force who have been on their trail. Items recovered from the suspects include six vehicles, three AK-47 riffles, four short guns, locally fabricated weapons, two locally made guns, one cartridges 7.6mm and 74 rounds of ammunition. 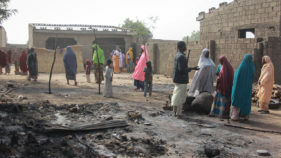 The suspects were identified as Dalha Ali, Shehu Jalel, Ibrahim Isah, Babangida Isah, Ashaka Aliyu, Abdulahi Ibrahim, Garba Haruna, Shehu Andulahi, Hudu Yahaya, Mohammed Nasiru, Umar Isiyaka and Zaryanu Sani. One of the suspects, Nasiru, who said he had been in the business of transporting stolen cars to Niger Republic and Cameroon for about eighth years now, said he gets N100000 for every car he flies to those countries even though he does not engage in snatching the cars. He said the people he works for, some of whom are now at large, get the vehicles at gunpoint from their owners and that some of them especially those who prove to stubborn end being killed. He also confessed that before driving the cars to these countries they usually work on the car like changing the original color and carry out a through body work to make the car look new before selling them to unsuspecting buyers. Another suspect, who specialises in kidnapping, said he was responsible for the kidnap of the Ardo of Garshi in Kaduna State and received N1million as ransom before releasing the victim who spent two weeks in their custody. 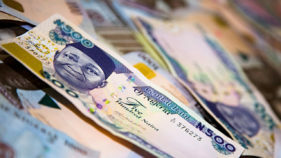 The youngest suspect of the group, Umar Isiyaku, 17, who said he joined kidnapping not too long ago, said he was arrested after kidnapping his first victim whom they demanded N2 million from but later reduced it to N20000 when the family was not forth coming with the N2 million. He was arrested after the police negotiated with him to come and pick the money at a particular location.Another suspect and gunrunner, Ibrahim Isah, who is a resident of Jos, said he gets his weapons from Niger and other African countries and sometimes from Borno. He said he buys an AK-47 rifle for between N20000 and N30000 and sells for N70000 and above, depending on the bargaining powers of the buyers.He also said that he got a lot of weapons during the Jos, Plateau State crisis, which he sold.